Welcome to another of travel rewards and more on Rewards Canada! WestJet released their 2014 summer schedule which sees the airline is adding five new routes, increasing frequency on 20 existing routes across the network, while five seasonal routes move to year-round service. Inlcuded are WestJet Encore's first foray into to the East with flights between Toronto and Thunder bay, Thunder Bay and Winnpeg. It also sees the Calgary-Newark flight being replaced with Calgary-New York JFK where WestJet partners American Airlines and Delta have a greater presence. Full details can be found here. 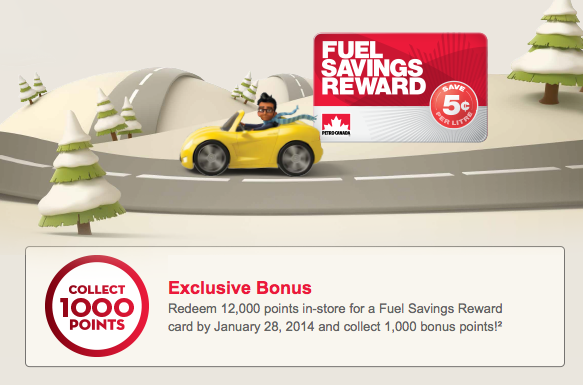 Petro Points is offering a 1,000 point bonus when you redeem 12,000 points in-store for a fuel savings reward card by Jan 28. - 1,000 Bonus Rewards points when you book the "Rewards - 1,000 bonus points per night" rate for stays at over 40 Best Western Hotels in the Netherlands. More... Until ?